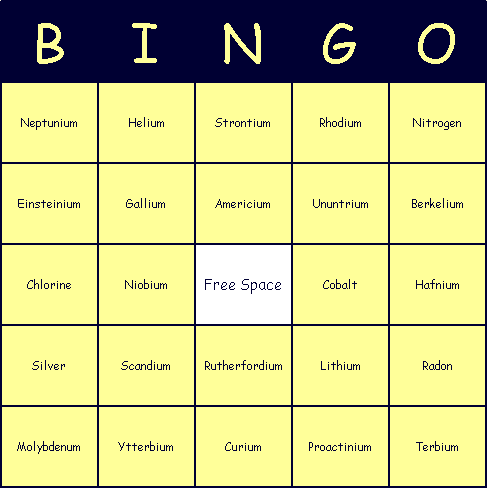 Elements Bingo is a fun game for learning about the Periodic Table of elements. You play just like a normal bingo game, except the items and cards all have a chemistry theme. Below is a printable set of elements bingo cards (click the Print icon in the window to print) along with a call-list. Just print and play! Instructions for producing your own custom elements bingo cards are below.